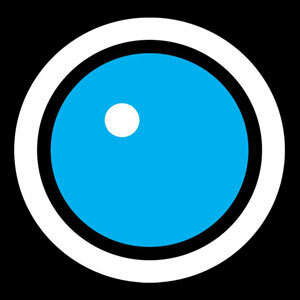 Harmonix Blog: DLC Week of 4/11: Sleeping With Sirens, Steve Vai, and Sunny Day Real Estate! DLC Week of 4/11: Sleeping With Sirens, Steve Vai, and Sunny Day Real Estate! Songs from Sleeping With Sirens, Steve Vai, and Sunny Day Real Estate bring the heat this week in Rock Band 4! Sleeping With Sirens’ “If You Can’t Hang” is the first in our trio of DLC releases. Taken from the band’s second album Let’s Cheers To This, “If You Can’t Hang” became a breakout song for the band when released in 2011. Never ones to shy away from mixing heavy music with melodic and emotional lyrics, “If You Can’t Hang” is the perfect blend of sonic blasts and sentimental vocals from Kellin Quinn. You may recognize him from his appearance on Pierce The Veil’s “King For A Day” when we previously released that song. Drums kick off with a left-hand leading pattern before going into a bass heavy chart full of quick fills. Bassists can look forward to gallops for the length of the song, making a great opportunity to practice alt-strumming. Appearing on numerous “top guitarists of all-time” lists, Steve Vai is an artist in the truest sense of the word. Steve Vai started taking guitar lessons at age 12 (from none other than Joe Satriani) and at 18 began working with Frank Zappa. Not a bad way to start a career! In 1984, after cutting his teeth with various studio sessions and live bands, Steve Vai released his first solo album Flex-Able. A standout track from the virtuoso’s debut, “The Attitude Song” became instantly popular in musician’s circles as it was the very first song featured on a “flexi-disc” in Guitar Player magazine. To this day it remains one of Vai’s most-performed songs. This song’s all about the guitar, and you’ll find some tough riffs and great solos, but nothing too insurmountable. Keep at it and you’ll have it down in no time. The music keeps going this week with Sunny Day Real Estate’s “Seven”, from the iconic Diary. Diary is considered one of the best emo albums of all time, frequently topping lists including Rolling Stone’s ‘40 Greatest Emo Albums of All Time’ and LA Weekly’s ‘Top 20 Emo Albums in History’. “Seven” marks one of the most popular tracks off the album, which ended up as one of Sub Pop’s highest-selling releases ever. A fun song all-around, there’s no boring choice on “Seven”. Guitar plays shifting chord riffs to give the song energy, while a frantic and fast bassline early on gives way to constant movement across the frets. Drums have a fun standard pattern and still break it up with fills incredibly often, so it might be hard to hold your combo. 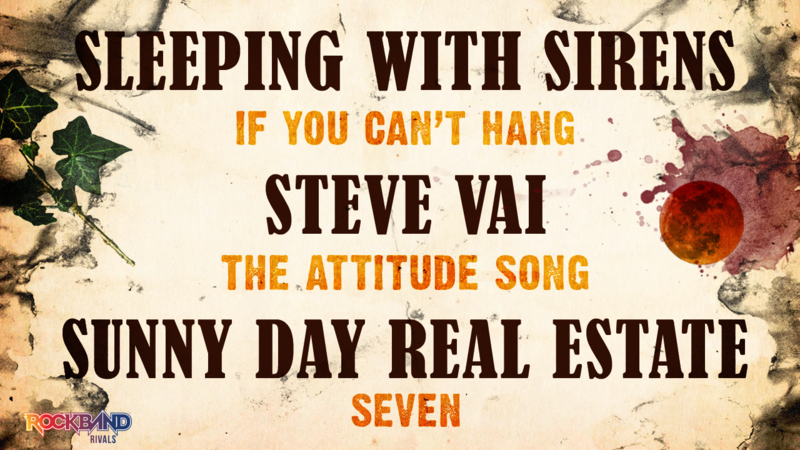 Sleeping With Sirens - "If You Can't Hang"
Steve Vai - "The Attitude Song"
VIDEO: Rock Band 4 DLC Week of 4/11: Sleeping With Sirens, Steve Vai, and Sunny Day Real Estate! * Please note that this week’s DLC tracks will be available for purchase on Thursday, April 11th.